I’ve been a Bar Mitzvah Toastmaster on a number of occasions and have been to innumerable Bar Mitzvahs and Bat Mitzvahs such are my origins. So, if you’re in the throes of planning a Bar Mitzvah, a Bat Mitzvah or a Bat Chayil then that’s great news and I’d like to wish you Mazel Tov. I’ve worked as a Bar Mitzvah Toastmaster and Bat Mitzvah Toastmaster for some wonderful families and I’d love to help you celebrate this fantastic occasion. A Bar Mitzvah or Bat Mitzvah is a fantastic occasion, though one that often requires plenty of planning – that’s where I can help you plan and organise. My experience as a Bar Mitzvah Toastmaster and Bat Mitzvah Toastmaster means I can bring my experience to the fore. Like all events I enjoy being a Toastmaster at, a Bar Mitzvah or Bat Mitzvah is something for the family to have fun at and remember. My aim is to organise and remove the stress of the day and by doing so ensure you and your family enjoy it and can relax. Such a coming of age is a once in a lifetime occasion and you’ll want to soak it all in. Contacting me will help you get your party off to a great start and will provide you with peace of mind. 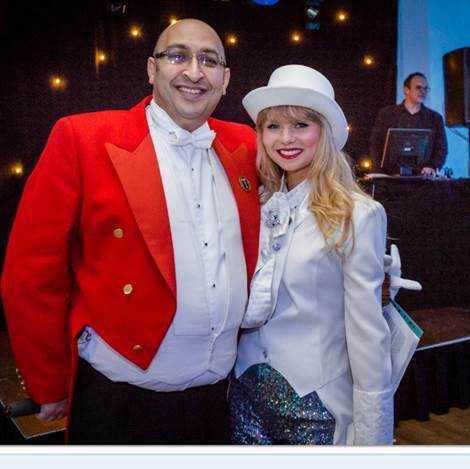 If you’re looking for a Bar Mitzvah Toastmaster or Bat Mitzvah Toast master you can trust, you will be delighted to hear that I’m rained to the highest standard and with membership of the Toastmaster & Master Of Ceremonies Federation. I’m always delighted to hear what you would like from your big day, answer any questions you have about a Master of Ceremonies for your Bar Mitzvah or Bat Mitzvah, or if you want advice or queries about a Toastmaster’s duties on the big day. I am also available as a Jewish Toastmaster for weddings and a range of other occasions. So, please get in touch with me if you want a Toastmaster for a Bar Mitzvah, a Toastmaster for a Bat Mitzvah or have any questions.